To read part one of The Lake, Perrine Leblanc’s follow-up to her Governor General’s Literary Award–winning first novel, Kolia, is to savour enough narrative eeriness to satisfy any David Lynch fan. In spare, allusive language, Leblanc describes the chilling fictional Quebec town of Malabourg and the murders of three young women whose bodies turn up in the town’s lake, thereafter known as “the tomb.” What begins as promisingly dark and offbeat, however, soon loses its momentum; the intensity of the first 40 pages is, unfortunately, never regained. The second part of the novel focuses on teenaged Mina and her unrequited love for Alexis, the town florist. Ostracized by Malabourg’s inhabitants on account of her black hair and native heritage, she is “mistrusted, called gothic, a savage, a kawish.” Mina knows who committed the three murders, and after a period of fear-induced silence decides to reveal this information. The result is predictable, and the novel’s mood of foreboding evaporates. We are left with descriptions of a number of marginal characters, including the “amiable old whore” Madame Ka; Sam, the brother of one of the murdered girls, who begins sleeping with Mina; a vagrant who appears briefly to be a suspect in the murders; and Mina’s grandmother Cécile, “an herbalist and something of a sorceress,” who lives on the nearby Indian reserve, Mowebaktabaak. While these vividly drawn characters add texture to the story, ultimately they don’t seem to serve any larger purpose. 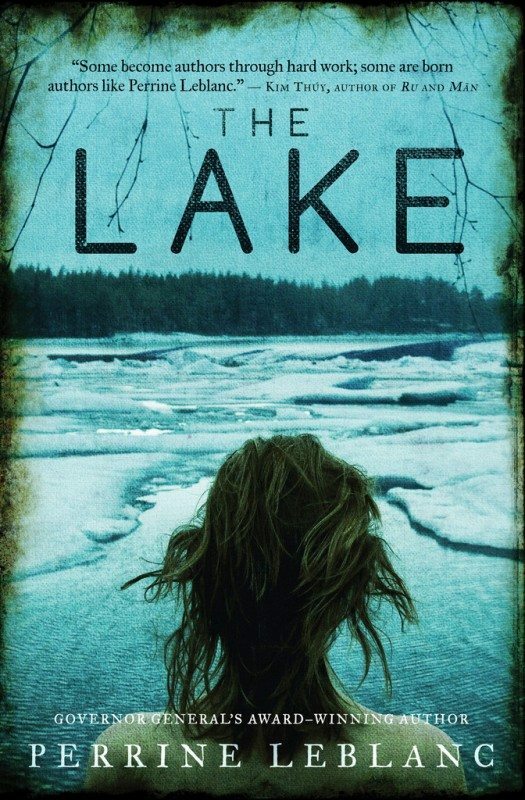 The Lake concludes nearly five years after the murders with Mina escaping Malabourg to attend university in Montreal. In the city, she meets Alexis again. Returned from two years in France apprenticing with a master perfumer, he operates a flower shop in Montreal. The two have matured in the years away from Malabourg, and they fall in love as Alexis works toward an unusual tribute to the fallen young women of their hometown. Leblanc’s novel, which begins with an atmosphere that recalls David Lynch, ends more in the manner of Nora Ephron.